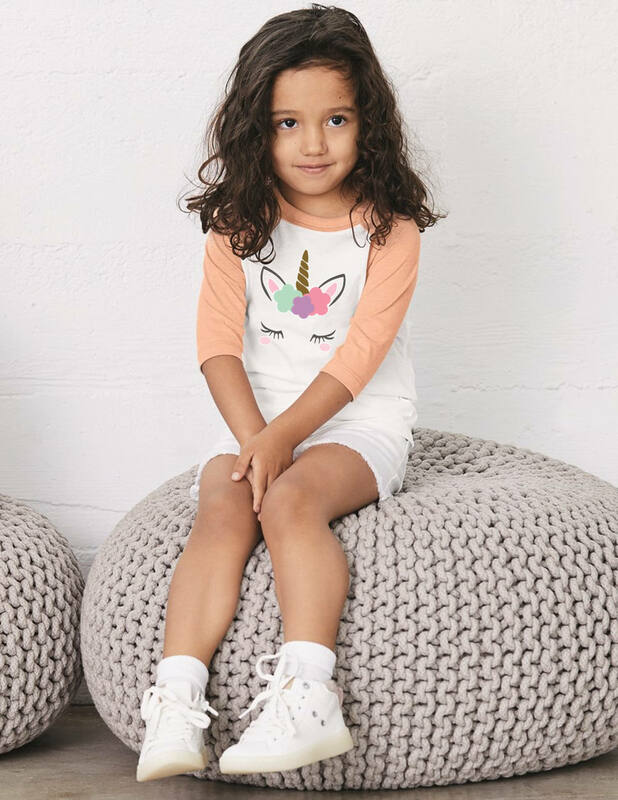 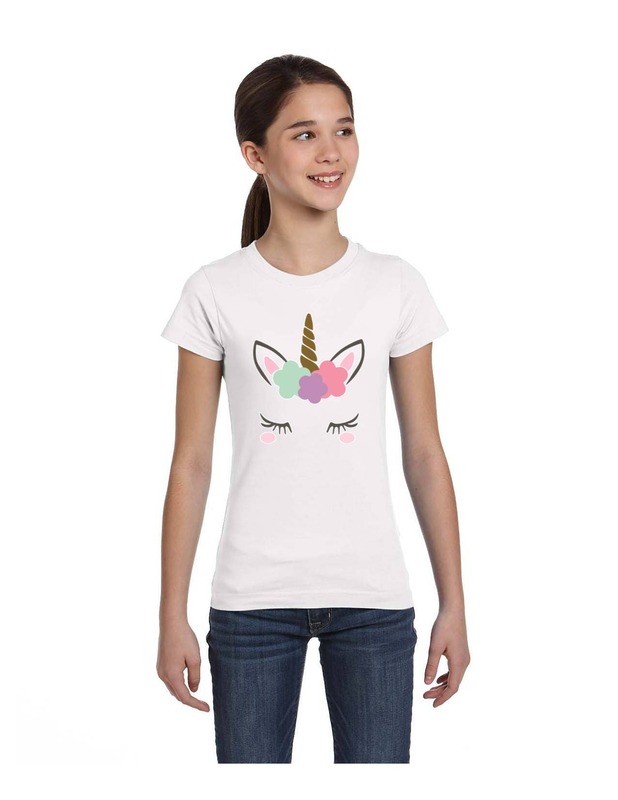 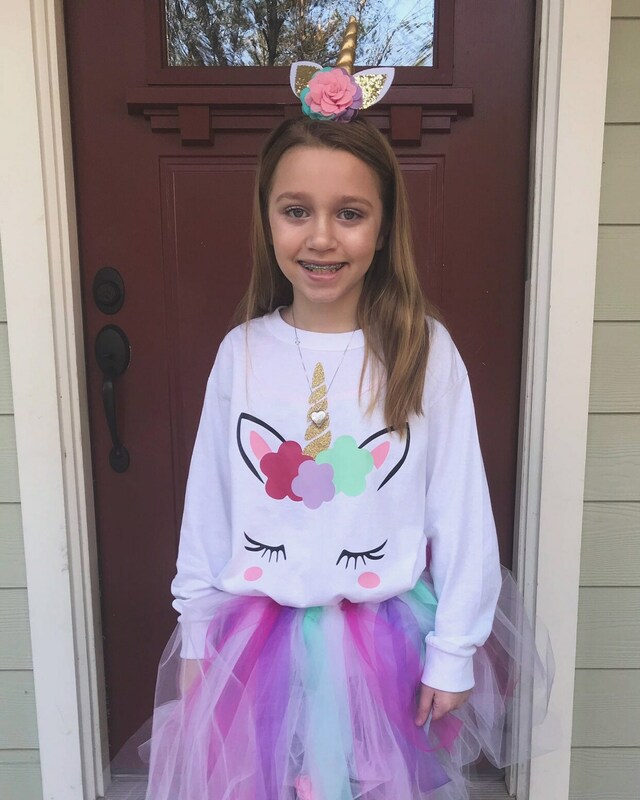 Our adorable unicorn shirt for girls and toddlers is perfect for your little girls next unicorn themed birthday, or for everyday wear!! 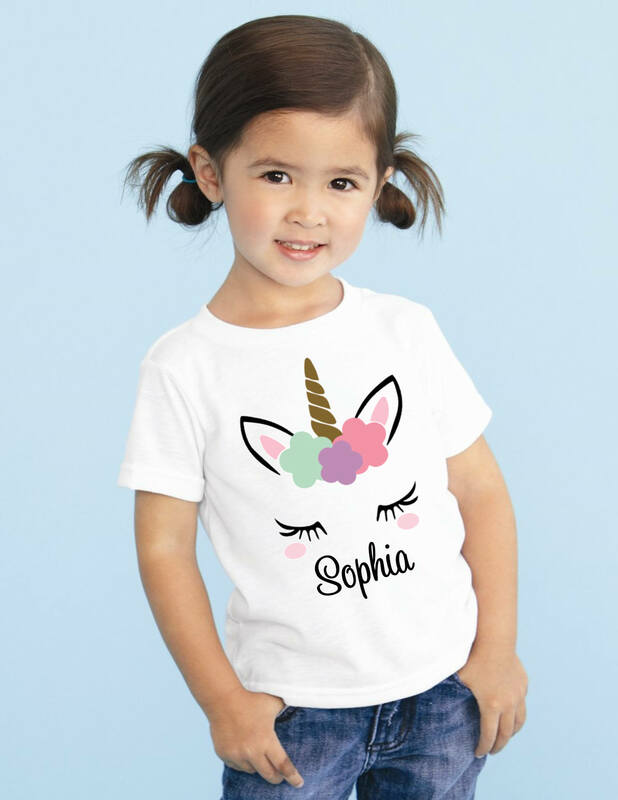 First, select your size and style from the drop down menu. 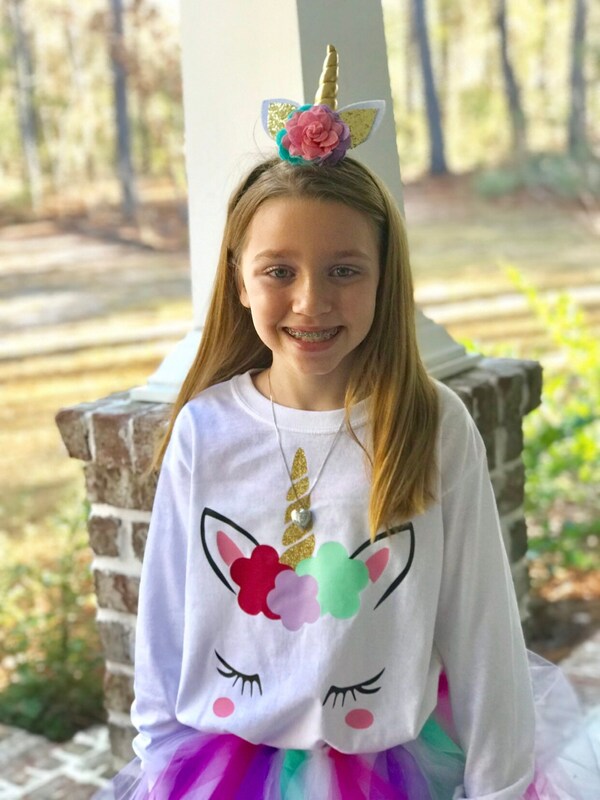 Be sure to see all listing photos for styles available - we offer girls and toddler sized raglans, and girls and toddler sized short sleeve tee shirts. 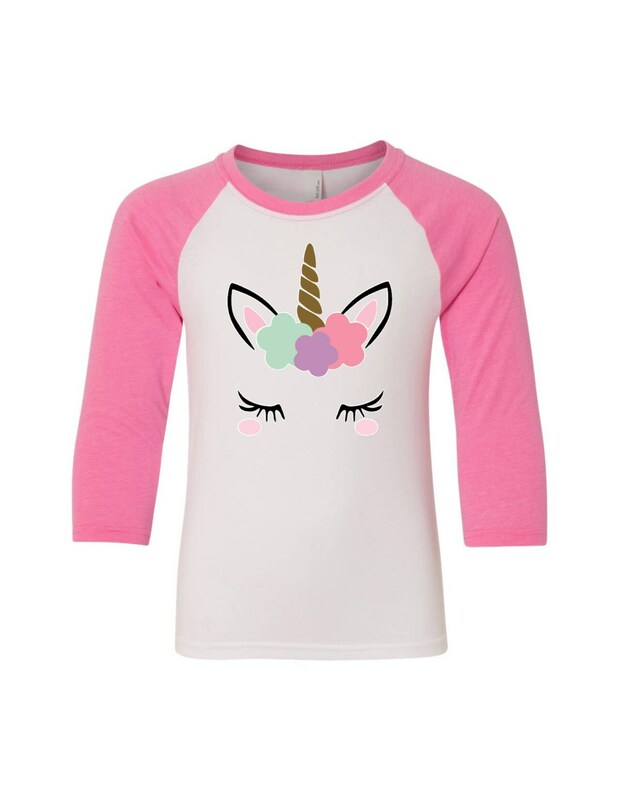 Next, add to cart and checkout! 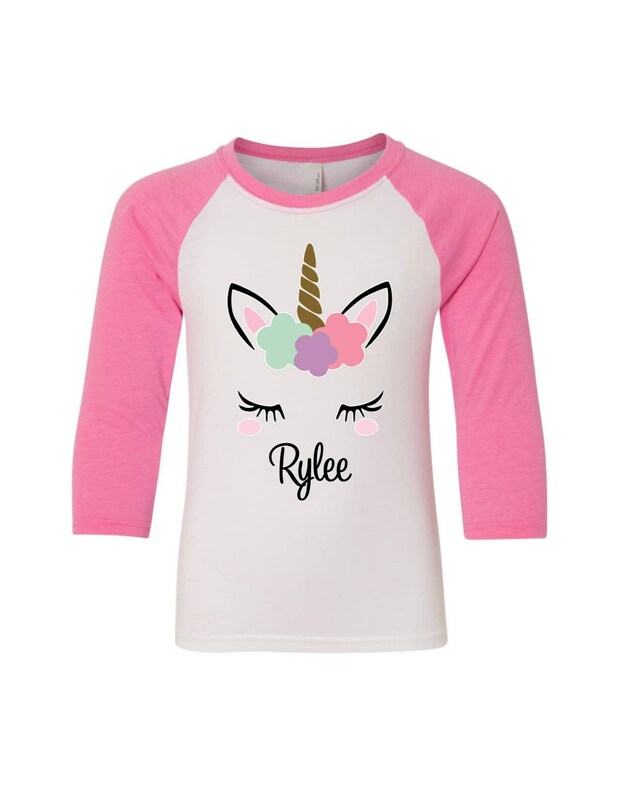 If you'd like to add personalization, please be sure to include the name you'd like to add to the shirt in the note to seller box.